20 delicious individual ginger parkin flapjacks made by Lottie Shaw's family bakery. 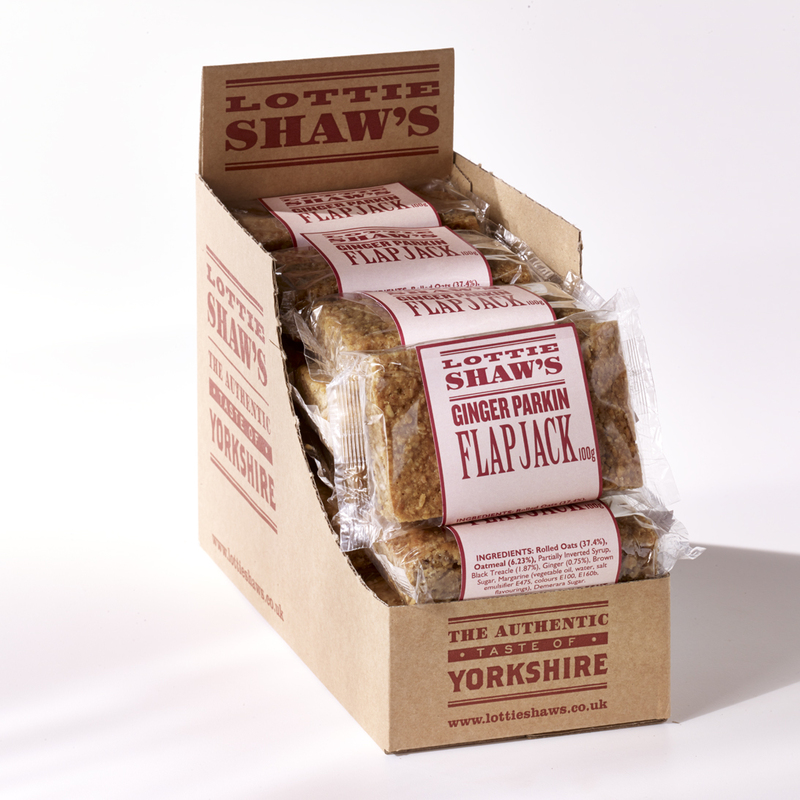 They perfectly combine the flavours of traditional Yorkshire parkin with flapjack. The ideal treat to have at home or in the office! Lottie's family have been baking in Yorkshire for over 100 years and bake their delicious sweet treats using traditional family recipes, handed down through the generations. Their finest quality goodies are all beautifully baked and hand packaged with love. Lottie is passionate about bringing her family traditions to the table and hopes you can taste the love and pride of past generations with every mouthful. 20 flapjacks, each weighs 100g. Shelf life: 3 months after baking.